The College Course Materials reports provide an overview of the changing market for instructional resources in higher education in the U.S. in two parts that can stand alone or be read together as a continuum that provides a view of the college publishing industry and the market landscape in which it works. College Course Materials Trends and Outlook 2019-2021 is now available and focuses on the trends building steam in 2018 that are likely to persist into the next several years. The report provides the outlook for the higher education publishing industry and sales segment projections through 2021. 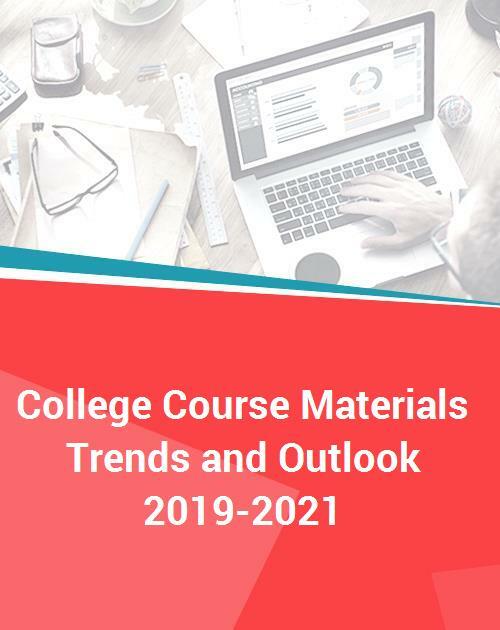 College Course Materials Trends and Outlook 2019-2021 completes the first part of the total report - State of College Course Materials 2017-2018, which became available in December 2018 and focuses on two main areas: the current market landscape and the competitive environment for publishers and distributors of instructional resources for college programs.